The legend of the Concordia yachts is only legendary because of their Stewards. This year The Corinthian Classic Yacht Regatta invites you to rendezvous and Salute the Concordia “Harrier” and her “Steward” Jesse Bonceau. 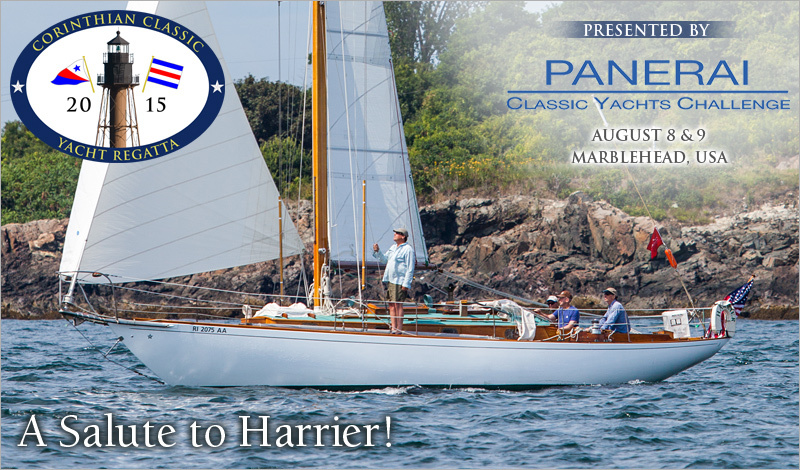 The Corinthian Classic Yacht Regatta – presented by Officine Panerai - will be held August 8th & 9th. In previous years we have created a Concordia section and awarded Silver for winning performances. We’d love to do that again but we need you to make that happen, so why not join us.